These previous posts are core, essential about us native, Malay Filipinos; thus are always presented in each new post. 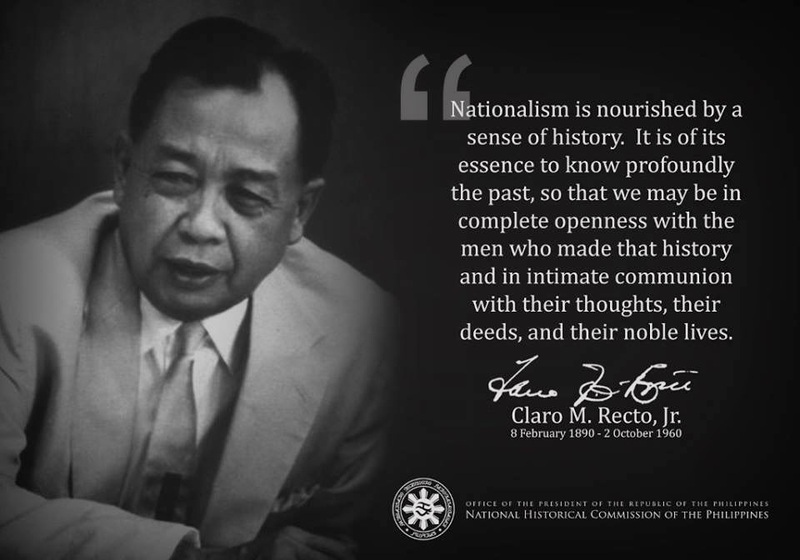 I believe and think that, then and now, they cover issues which comprise major impediments to and millstones against the realization of the common good for the native Filipino majority. Click each to open/read. THE FILIPINO MIND blog contains 530 published postings you can view, as of October 14, 2012. Go to the sidebar to search Past & Related Postings, click LABEL [number in parenthesis = total of related postings]; or use the GOOGLE SEARCH at the sidebar using key words [labels, or tags] for topics of interest to you. Also at the bottom of each posting, you can click a label or tag to open related topics. The postings are oftentimes long and a few readers have claimed being "burnt out." My apologies. As the selected topics are not for entertainment but to stimulate deep thought (see MISSION Statement) and hopefully to rock the boat of complacency. (4). Some postings and other relevant events are now featured in Google+, BMD_Facebook, BMD_Twitter and BMD_Google Buzz. (<--- click each or all). Not so much to socialize but I try to maximize the available means for my mission. BAYAN KO by Freddie Aguilar <--- click to play song. ”Bayan Ko” by KUH LEDESMA <--click to play song. ”Bayan Ko” by a Korean choir <--click to play song. ”Sa Kuko ng Agila” by Freddie Aguilar <-- click to play song. ”Huwad na Kalayaan” by Freddie Aguilar <-- click to play song. We realize the growing alienation, i.e. increased feelings of indifference, helplessness and deep despair among fellow native Filipinos when people turn solely to religion or praying as the only way to the betterment of the Filipinos in the Philippines. This act of withdrawal gives validity to what Karl Marx has stated a century and a half ago, his famous description of religion as–though incompletely quoted and understood- “the opium of the people”. Marx’s statement is a critique of a society that has become heartless. For him, the problem lies in the obvious fact that an opiate drug fails to fix a painful injury – it merely helps you forget your pain and suffering] which is fine to a point, but only as long as you are also actively trying to solve the underlying problems causing the pain in the first place. In a similar way, religion does not fix the underlying causes of people’s pain and suffering- instead religion only helps the alienated forget or not want to act on why they are suffering and gets them to look forward to an imaginary future when the pain will cease instead of working to change circumstances now. Given the Filipino predicament and in the absence of other significant factors/forces for fundamental changes, the primary goal now of religion, i.e. most especially of the Catholic Church, being predominant, should be to make a greater effort and time to promote and put into action its social teachings: seeking justice for the weak and poor [Pope Leo XIII -1891]; for creating greater awareness and pursuit of the common good of society [Pope John XXIII -1963]; and participating in social and political reform for their liberation from the structural roots of injustice [Pope Paul VI –1971], etc. The immediate task of clerics and leaders of the Catholic Church in our homeland is to stop treating its followers as children, stop preaching that being miserable, impoverished and oppressed in this world are good for their souls and that they will be rewarded in the hereafter. Their mission to themselves and their educated followers is to gain knowledge and understanding of the causes, not just the symptoms, of the Filipino predicament and to share with their impoverished fellow citizens this acquired knowledge and understanding. However, the churchmen do not have to or should NOT run for public office. Note that this social goal for the common good is in contrast to many members of mainline Protestants, and especially religious fundamentalists (Pentecostals or Evangelicals) whose sole concern is their individual salvation [not correcting society’s ills]. We should not be surprised as this position is consistent with the foundational Protestant doctrine, i.e. Sola Fide, invented by reformer Martin Luther that led to the Protestant Reformation According to this doctrine, one is not saved by his good deeds but by faith alone. If carried over to our national predicament as such, I call this attitude and behavior of indifference towards the struggle for social justice as "selfish individualism." However, that is another story.